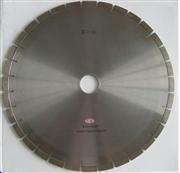 TSP diamond by Union are suitable for oil & mining fields, cutting tools and wire drawing dies. Man-made thermal stable polycrystalline diamond is a kind of diamond polymer of diamond and binding agent sintered under ultrahigh pressure and high temperature. It has extremely high wear resistance and high thermal stability. Polycrystalline has high wear ratio and compared with natural diamond, its cost is very low and it is an ideal material for manufacturing oil and geographic drilling bits. Compared with natural diamond, polycrystalline has higher mill efficiency; adding its incomparable price advantage, it has become indispensable for diamond processing. Waiting for your inquiry, I will response you at the first time! Please contact us from this page or other information from our website. 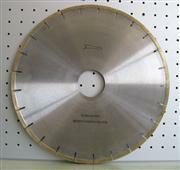 Sandwich core allows silent cutting and absorbs vibration. Application: granite. 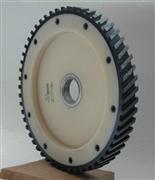 Silent core milling wheel Customized size and diamond grit available of request.